Pearce, Chazz - Groelle & Salmon P.A. 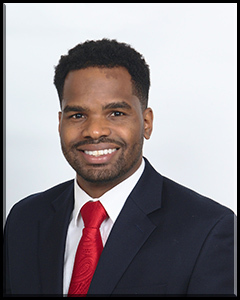 Chazz Pearce is an associate attorney at Groelle & Salmon’s Miami office where his focus is Insurance Defense. Prior to becoming an associate attorney, Mr. Pearce worked privately gaining experience in commercial and residential real estate law. Mr. Pearce has also appeared as defense counsel in Florida criminal and traffic courts. Mr. Pearce received his Bachelor’s Degree from Texas Tech University and subsequently, his Juris Doctor from St. Thomas University School of Law. As a law student, Mr. Pearce was recognized with a pro bono award for his contribution to the public sector; he was the recipient of a book award in Florida Construction law; he interned with the legal aid where he developed vital legal research and writing skills and invaluable experience in the areas of commercial litigation, and discrimination. Furthermore, he served as a staff articles editor for the St. Thomas Complex Litigation Journal, where he participated in the editing of multiple publications. Mr. Pearce is a Miami native and is admitted to practice law in the State of Florida.